Continuous process for high throughput. 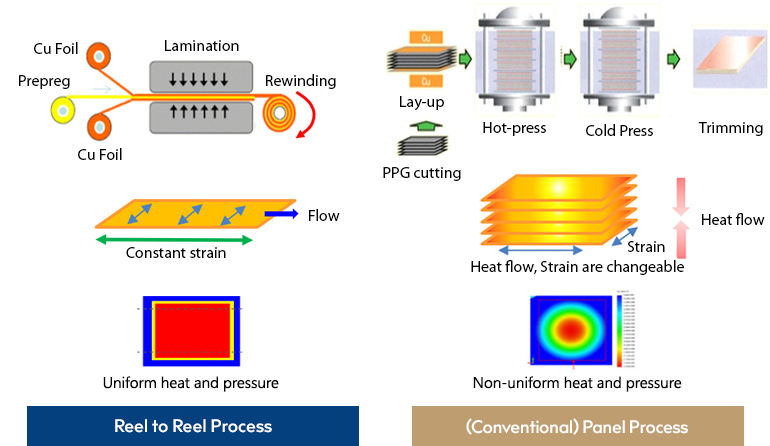 Uniform thermal and strain control can make flat substrate without warpage. Easier method to transfer thinner substrate than 0.1mm thick. Matured lamination technology for multi-layer substrate.